Now Servicing the Entire State of Florida! DO YOU NEED A ROOF REPLACED ? We work with several Florida Licensed Roofing Contractors. We will refer you to a roofing company in your area. Professional Truss Mitigation and Hurricane Retrofit Services. Our Third Nail system is significantly stronger than the dual nail roof truss straps systems typically used and, as a result, will save you 25 to 30 percent on your homeowner’s insurance premiums. Your trusses are mitigated with hurricane strap installation from within your attic or through the soffit. We work on most exteriors for hurricane strap retrofits, including aluminum, vinyl, metal, and wood. Do I Need Hurricane Strap Mitigation/ Retrofit? The only way to determine if your home needs hurricane strap retrofit installation is to have your home inspected by a licensed inspector. They will inspect your home and prepare a Wind Mitigation Inspection Report (OIR-B1-1802). If your home was built prior to 2000, there is good chance that your home needs mitigation and reinforcing with hurricane straps. Homes built before 2000 were constructed under the previous Florida Building Code that did not require a specific number of nails to be installed into your truss straps. Additionally, if you have a wind inspection dated prior to January 2012, your report is outdated. An updated inspection is required by your insurance carrier to qualify for additional savings on your insurance premium for your hurricane tie downs. We can refer you to a Home Inspector near you to help you find out of your home can benefit from our mitigation and retrofitting services, including hurricane roof clips, and to learn more about wind mitigation inspection cost. What Is Wind Mitigation Inspection? Wind Mitigation Inspection is an inspection where a certified inspector comes to your home and looks for key features, including hurricane roof straps, and add-ons that will reduce the amount of damage your home might suffer in the event of a hurricane or strong windstorm. Following the inspection, the inspector prepares a 4-page report, Form OIR-B1-1802. This form, when give to your insurance company, determines if your home is eligible for additional discounts on your insurance premium. For example, if, on Page 2 of this report, Roof to Wall Attachment, “Toenail" is checked, you are spending too much for your coverage. 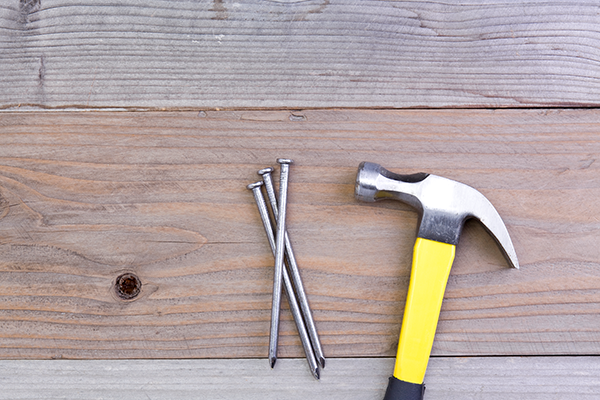 The usual time it takes to recoup your investment for the 3rd Nail Mitigation is 9 to 12 months. Thereafter, you enjoy your insurance savings each year. The typical price range for a Wind Mitigation Inspection by a Licensed Inspector is $85 - $125. Contact us today! 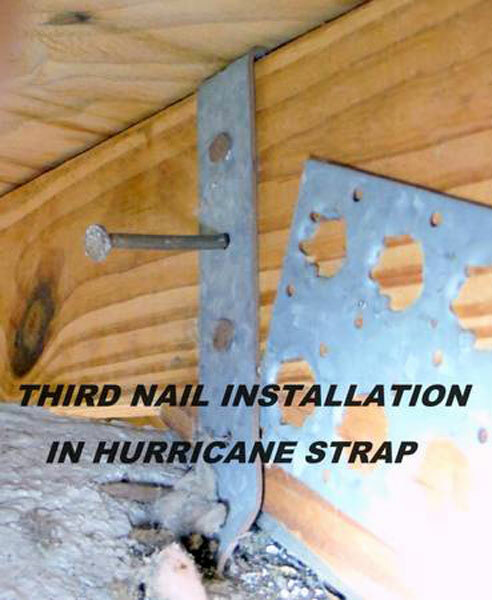 Third Nail Mitigation is a licensed general contractor that provides professional truss mitigation and hurricane retrofits to homeowners in Florida. Our third nail mitigation/retrofit teams live in all the metropolitan areas of Florida, including Miami, Fort Lauderdale, and Tampa. No matter where you live we are near you and available on short notice. If you are getting a new roof installed and your home has a value of $300,000 or more, Florida Building Codes 706.2 and 708.8.1 applies to your property. This Code states when re-roofing a home valued over $300,000 portions of the existing roof trusses are required to be retrofitted with the proper roof to wall connections. If you have a wind inspection dated prior to January 2012, your report is outdated. Form OIR-B1-1802 (Revised 01/12) is required by your insurance carrier to qualify for additional savings on your insurance premium. This is a 4-page report that a licensed Inspector prepares for you. This form will determine if your home is eligible for additional discounts on your insurance premium. If on Page 2 of this report, Roof to Wall Attachment, “Toenail" is checked you are spending too much for your coverage. The usual time it takes to recoup your investment for the 3rd Nail Mitigation is 9 -- 12 months. Thereafter you save that much money each year. The typical price range for a Wind Mitigation Inspection by a Licensed Inspector is $85 - $125. Do I Need A Hurricane Strap Mitigation/ Retrofit? If your home was built prior to 2000 you should invest in a OIR-B1-1802 Wind Mitigation Inspection. 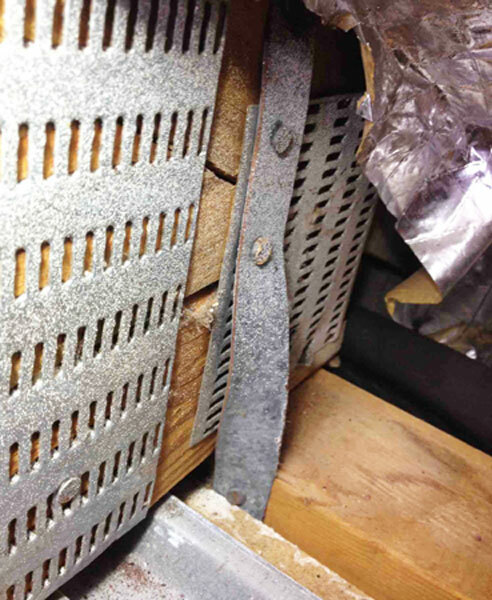 Your home was constructed under the previous Florida Building Code and there was no specific number of nails required to be installed into your truss straps. It is quite possible you can reduce your insurance premiums 25% - 30% by using our retrofit services. We can refer you to a Home Inspector near you if requested. Your trusses are mitigated from within your attic or through the soffit. Contact us!